Welcome to my page. It's not much really, when compared to other wacky and crazy author pages that some people have. I'm still in the process of figuring out how to make this page epic and cool and aesthetically pleasing, so watch this space. + they will come to find a world at peace. SCP-2831 was my first SCP that didn't get deleted. Before that, I had posted one about a pretentious beetle, but it didn't get received well. 2831 was worrying when I posted it, as it tussled between negative and positive ratings for a while before sliding onto the positive side, where it sits at +15 as I write this. I got the idea for 2831 while walking home from school, racking my brains to think of a cool SCP idea to write up when I got home. I was thinking about body horror transformation SCPs, like the Bone Hive, then saw a tree, and the idea kind of came from there. The beings themselves being leaf was just an obvious choice. The SCP started off as being located in the Far East, tying into Buddhist mythology and Old Korean enlightenment ideas. But that didn't work, and seemed too on-the-nose to me and a lot of people, so I moved it over to Ireland, where the creature's appearance almost suited more, due to the almost fairy-esque appearance of the creatures. SCP-3400 was my second SCP, and did much better than the first, only gaining a few downvotes as it rose in upvotes. After days of looking for interesting cryptids I could possibly base a SCP on, I came across Giglioli's Whale and thought the idea of a whale having two fins was neat. It started off as just whales that went from mind-to-mind, then I threw in the idea that the whales were put in minds by normal whales, and then it went to where it is now. As I write it sits at +22. I went through a bunch of different whale species to find one that worked for this SCP. It started as Antarctic Minke Whales, but they were too common, and had too massive a range. Then it was one of the rare Beaked whales, but the goo transferring a rorqual didn't match up. Finally I decided on Omura's whales, which are very rare rorquals. My canon is that they are so rare because the Foundation has culled most of the population. I think it works well. SCP-2683, my third SCP, was conjured up when my mind remembered an episode of (I think) Planet Earth, where elephants would travel to clearings to eat salt and bathe in ponds. One thing led to another, and then the temporal shenanigans came to mind. The bulk of the SCP has remained the same since I first typed it, but the addendums have undergone many revisions over the course of writing. From a story told by a priest, to an elephant drawing stuff, to future elephants described in detail, to a twist involving a demon, and then to what I have now. The SCP ties heavily into what we know about elephants and their emotions, and to Hindu mythology, which has always interested me. Of course, the elephant at the bottom of the pool is a made up figure, it's not really based on any real mythological elephants. The two elephants in the table before 2082, I wrote as sorts of elephants which haven't evolved yet. The orange one originally killed a bunch of personnel instead of just injuring them. + To remind you that kindness existed. SCP-3062 was inspired by a few different sources. I was reading a story on r/shortscarystories on reddit about the devil taunting a man lost in the desert with water. I also came across the artwork Sand by Valery Petelin, and 3062 conceptualised from there. It was my fourth skip, after a couple of months without really writing anything. The entity itself is supposed to be demonic in nature, but not Satan itself. It terrorised ancient Egypt for a while until being defeated and trapped in the desert, and an attempt was made to seal it in a coffin. It obviously broke out, and is now angry and vengeful. So yeah. SCP-3990 was inspired by a meme picture I found on r/hmmm. 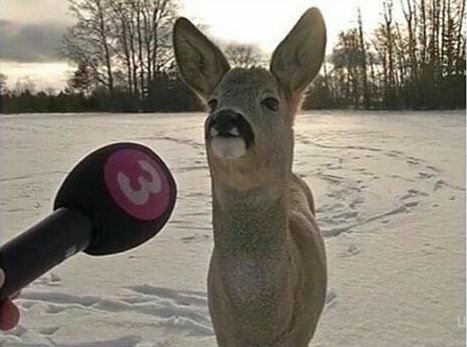 I thought the image was hilarious and the idea of deer news came to mind. The final product came out without a hilarious feel, however. I never really had a backstory in mind for the anomaly, and I still don't. People can make up their own interpretations about why its happening. The location of British Columbia wasn't chosen for any reason other than its high amount of forest regions and such. + History is ours, forever and always. The 4000 contest rolled around and I hadn't written anything in nearly a year. But I try and enter the X000 contests, so an entry was on the cards. I shuffled through multiple ideas before finally settling on one - three scientists who, through a technological accident, inadvertently were placed into god-like roles. The idea was originally with 3 lost cosmonauts - but there's already a lost cosmonaut SCP. After the contest I slipped it into the 4200 contest, and that's where it remains since. It's not related in any way to 3001, and didn't clock about how there were similar themes about a "tear" or non-dimension until afterwards. And NO, it's not a weed SCP.